Laird Technologies ongoing commitment to refinement in mechanical and electrical design has resulted in the release of their latest product, the mobile coil antenna with an elastomer spring. The new elastomer spring provides increased flexibility, better shape retention, and eliminates electronic noise & road noise compared to stainless steel springs. The mobile coil antennas will continue to maintain all of the features that make them unique, such as stainless steel whips, housings constructed with ABS material injection molded around a solid brass insert, and gold plated push pin contacts. 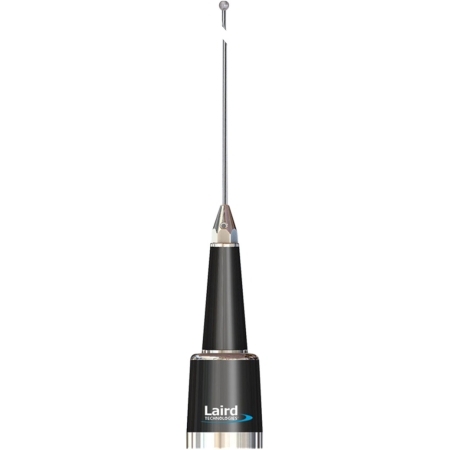 Together, the mobile coil antenna and elastomer spring, make Laird Technologies the obvious choice for quality and long lasting value for demanding mobile radio communications.